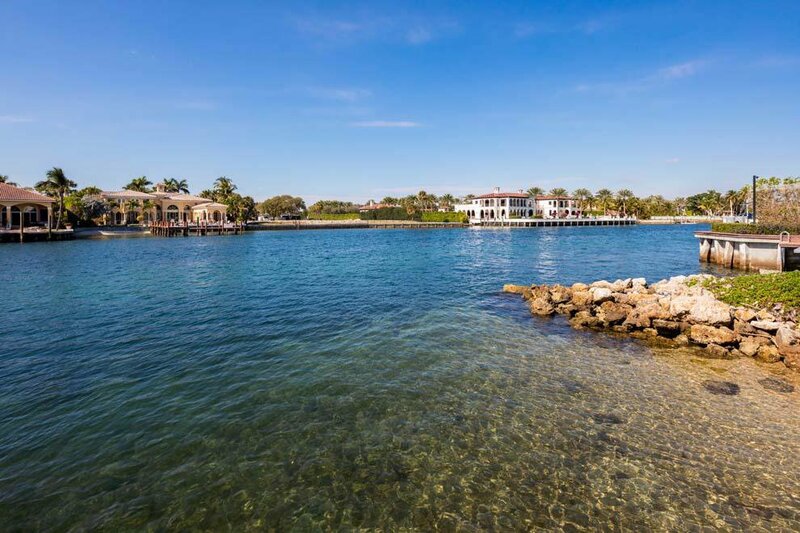 Boasting 90 feet of direct Intracoastal waterfrontage, 465 NE Spanish Trail, Boca Raton represents great waterfront living in the heart of South Florida. 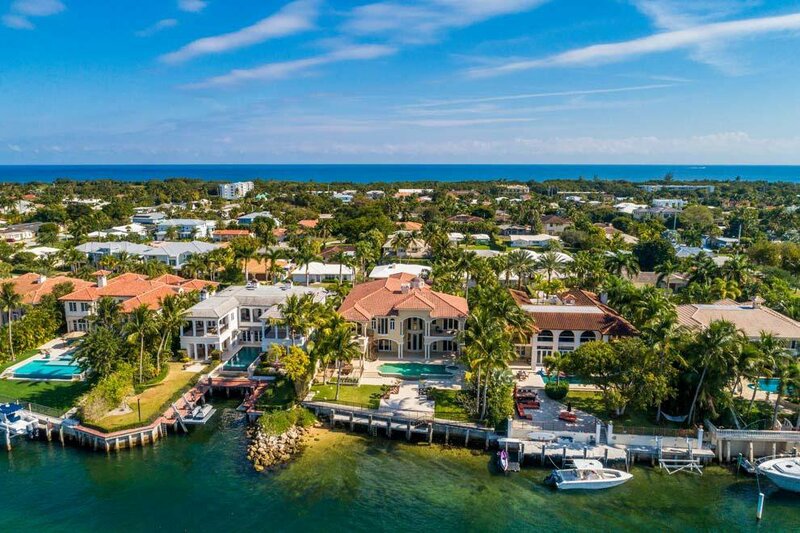 With over 10,000 total square feet and six bedrooms plus guest house, the residence showcases the scenic water views with floor to ceiling windows and doors throughout. 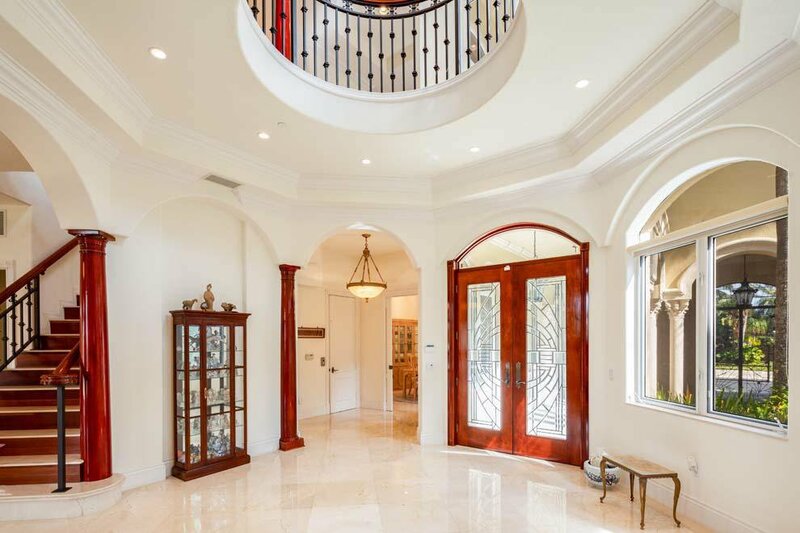 Interior details include rotunda, marble floors, dramatic stairway and impressive master wing. 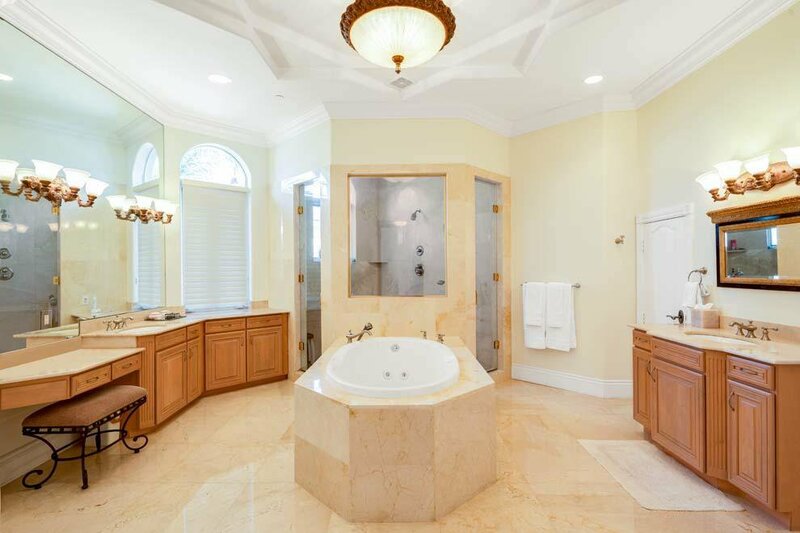 Exterior features include private gated circular driveway, gated entry courtyard with fountain, infinity edge pool with spa and private dock with ocean access via nearby Boca Raton inlet. 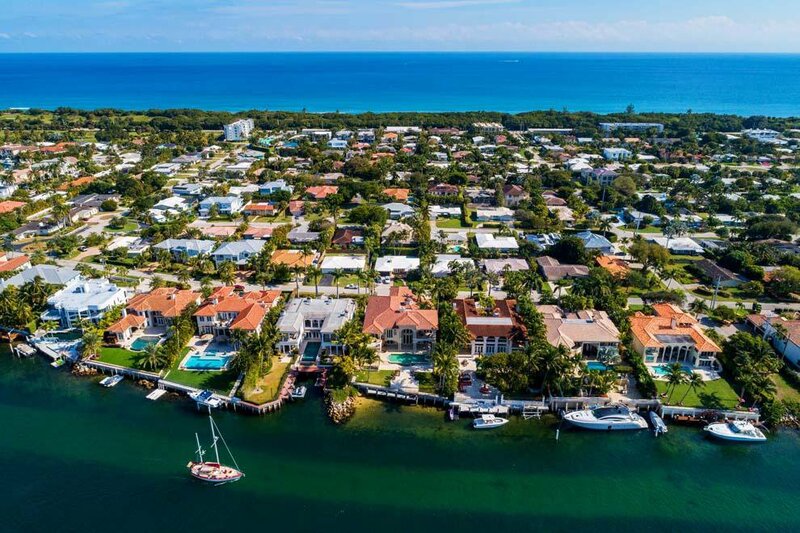 Conveniently located blocks from the beach and East Boca Raton's boutiques and restaurants as well as a pleasant drive from Delray Beach, Palm Beach and Fort Lauderdale. 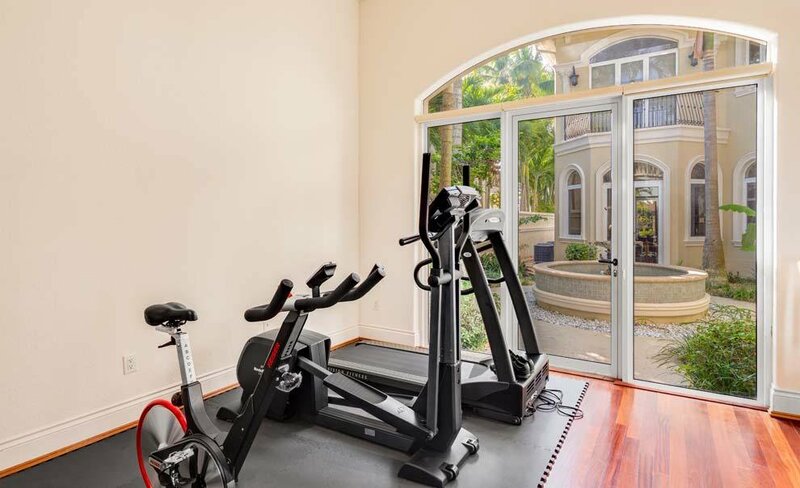 Located just blocks from the beach, this property provides the privacy of a gated retreat and the convenience of the nearby shops and restaurants of Royal Palm Plaza and Mizner Park. Enjoy a pleasant drive along A1A to Delray Beach's Atlantic Avenue, Palm Beach's Worth Avenue and Fort Lauderdale's Las Olas Boulevard. 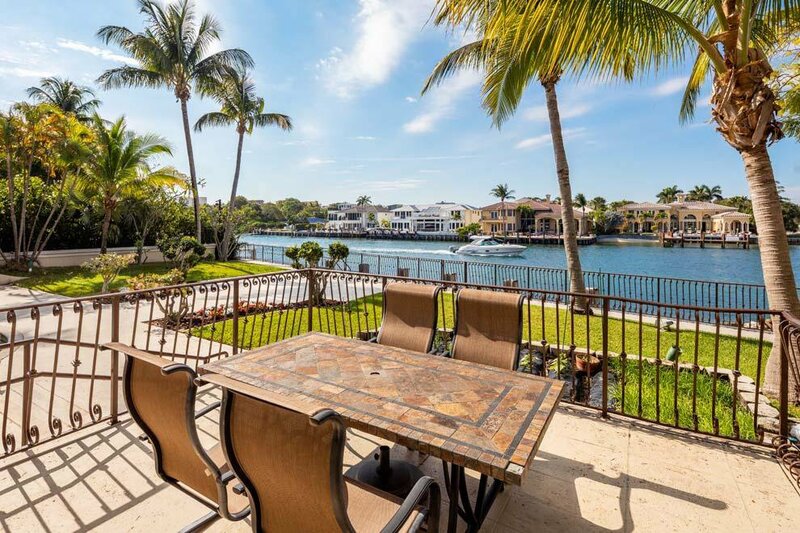 Boaters will appreciate the 90 feet of direct Intracoastal "no wake zone" waterfrontage, private dock and close proximity to the Boca Raton Inlet for adventures on the high seas. 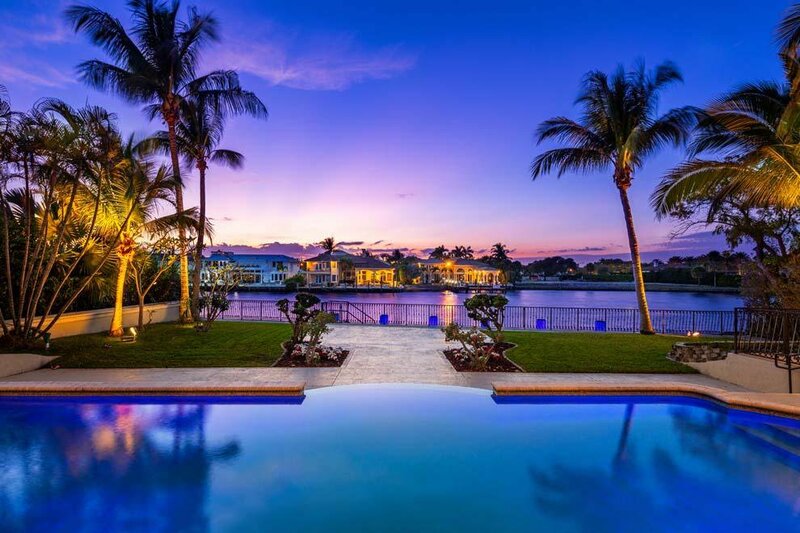 Getaways are a breeze with several private jetports and three international airports easily accessible via Federal Highway or Interstate 95. The dual gated entryways open to the expansive circular drive, additional driveway and two separate garages for ample parking. The impressive portico entry and decorative gate lead to the serene courtyard with fountain and access to the main house, guest house, one-car garage and walking path to the pool and waterway. The foyer provides the first glimpse of the interior's marble floors and picturesque views of the pool and waterway beyond. The rotunda above the foyer has custom lighting that enhances the homes' elegance. With floor-to-ceiling windows and a volume ceiling that opens to the second floor, the living room has a fireplace and glass door that leads to the pool and waterway. The dining room overlooks the courtyard and is connected to the kitchen via the butler's pantry. The chef's kitchen offers two islands, snack bar, dining area and top-of-the-line appliances including Sub-Zero, Viking, Bosch and Monogram. 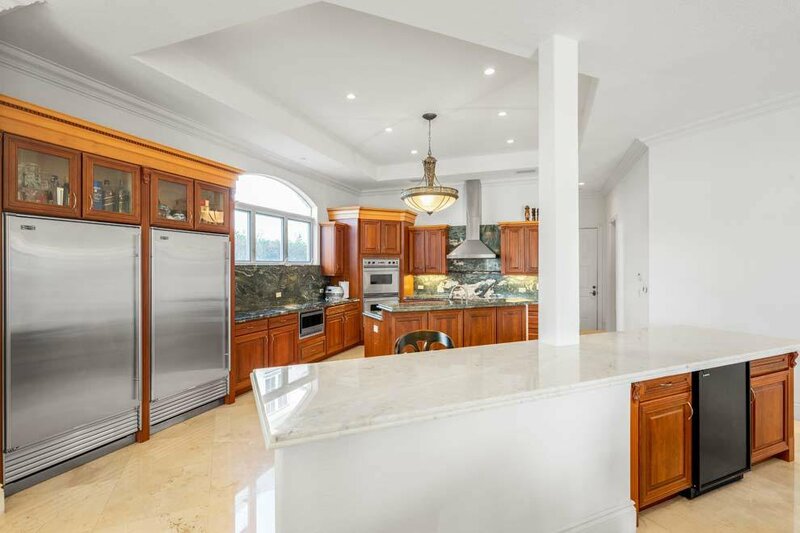 The kitchen is open to the family room which has a fireplace, powder room, expansive views of the pool and waterway and glass doors that open to the covered loggia and summer kitchen. There is a first floor guest bedroom that can serve as an office with closet and full cabana bath. The guest quarters are easily accessible with an impressive staircase and an elevator located in the vestibule. The laundry room and two-car garage are located off the kitchen for convenience. The second floor has a stunning open corridor that overlooks the living room and foyer with the rotunda above. 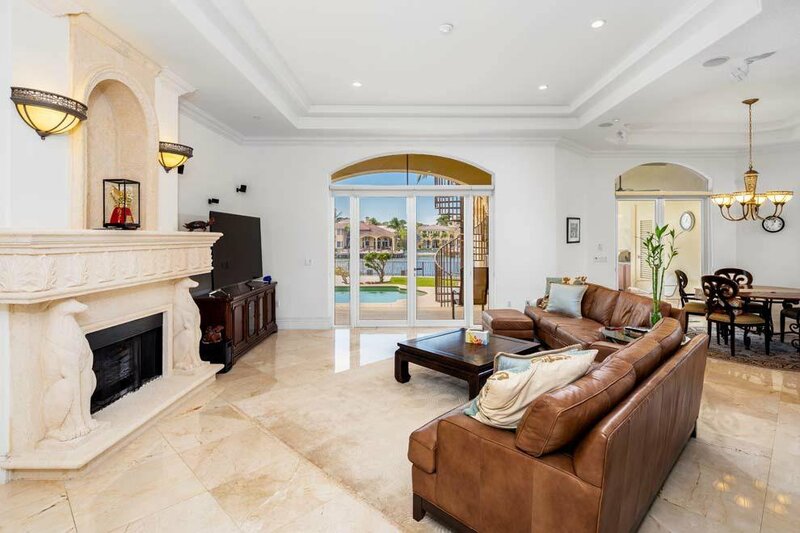 The spacious master wing has a large bedroom with water views, sitting room with private balcony and outdoor spiral stairway to the pool, dual walk-in closets and master bath with jetted tub, glass walk-in steam shower and dual vanities and water closets. 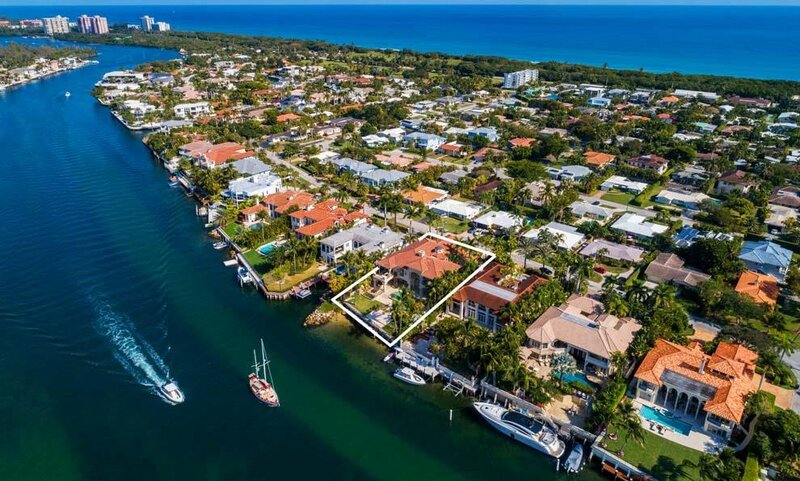 There are three guest bedrooms with private baths on the north side of the residence and one guest bedroom with private bath and balcony on the south side. In addition to the six bedrooms in the main house, there is a guest house off the courtyard which features a bedroom with morning bar, bath and closet. The landscaped grounds provide plenty of green space and are enhanced by custom lighting. Outdoor living is easy with an expansive covered loggia that flows to the poolside terrace and leads to the waterway and private dock. The infinity edge pool with spa invites hours of fun in the sun with plenty of room for lounging poolside. Enjoy entertaining and al fresco dining with the summer kitchen's grill, wet bar and bar-top seating. Pack a picnic and enjoy time at the beach located just blocks away. 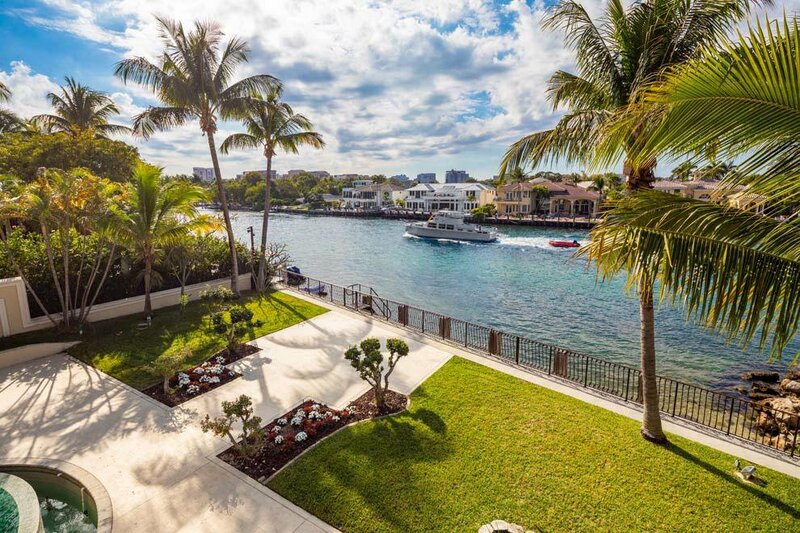 Nautical options are endless with 90 feet of direct Intracoastal waterfrontage and private dock. 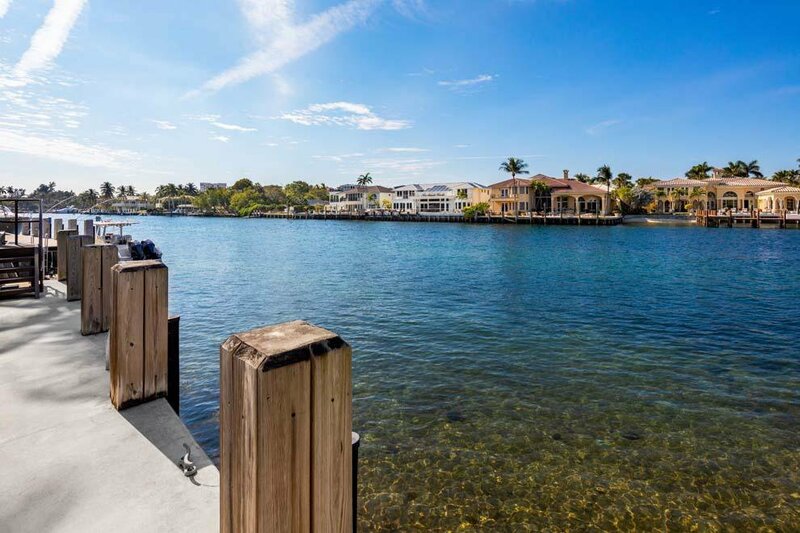 Recreational boaters and serious yachtsmen alike will appreciate the easy ocean access via nearby Boca Raton inlet. 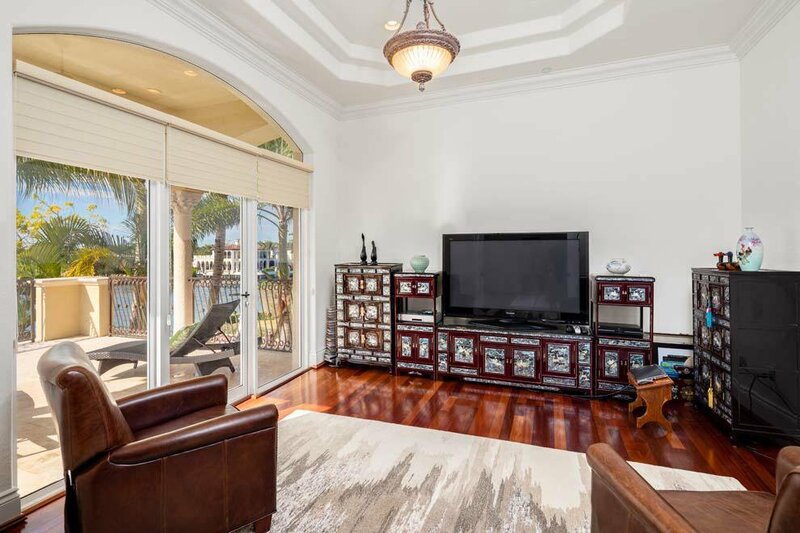 This inviting East Boca Raton property has plenty of room for residents and guests alike with 6,753 square feet under air, 10,342 total square feet, seven total bedrooms and seven full and one half bathrooms. Additional features include seven-zone air-conditioning system, impact windows, double-sided electric fireplace, volume ceilings throughout, elevator, two-car garage and a separate one-car garage. 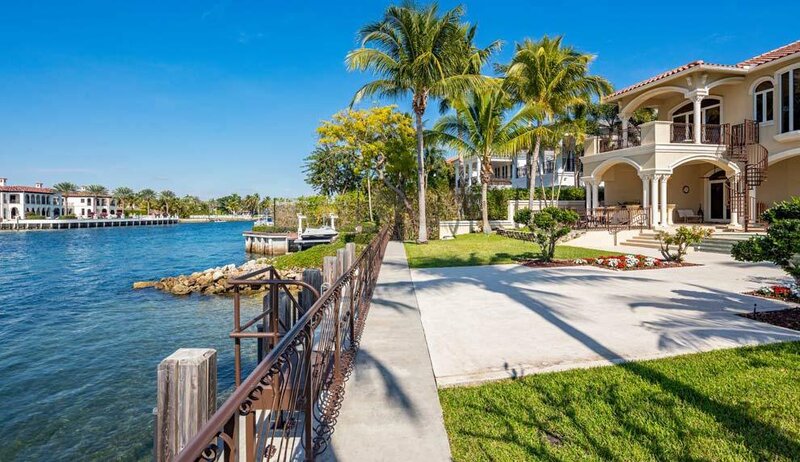 Luxury living awaits at this waterfront estate!